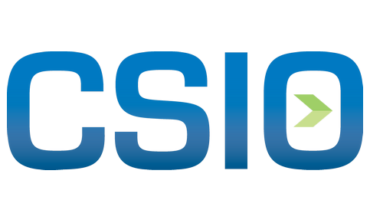 TORONTO, ON, APRIL 3, 2019 /insPRESS/ – The CSIO Board of Directors is pleased to announce that Sean Christie has been elected Chairman of the Board. Sean is the Chief Information Officer and Vice President, Information Services at Gore Mutual and has been a Director of CSIO for over five years, ensuring continuity as CSIO moves forward delivering on its strategic priorities. Sean brings a wealth of knowledge and experience on how technology is disrupting and transforming the insurance industry. Joining Gore Mutual in 2003, Sean has been instrumental on several strategic initiatives, including the recent launch of CSIO’s My Proof of Insurance eDelivery solution. Under Sean’s leadership, Gore Mutual collaborated closely with CSIO and other industry partners to develop a uniform, standardized digital experience for consumers that the industry as a whole would benefit from. “With so much change and disruption unfolding, the role of CSIO has become even more important to ensure collaboration and standardization continues across the insurance industry. I am privileged to accept this appointment and to build upon CSIO’s achievements,” says Christie. The CSIO Board of Directors would like to thank Steve Whitelaw for his seven years of providing exceptional governance, leadership and strategic support. During his time as Chairman of the Board, CSIO was able to accomplish many achievements, including industry-wide adoption of eDocs for both Personal and Commercial Lines, the development of CSIO’s Certification program, and of course, the recent launch of CSIO’s My Proof of Insurance eDelivery solution.